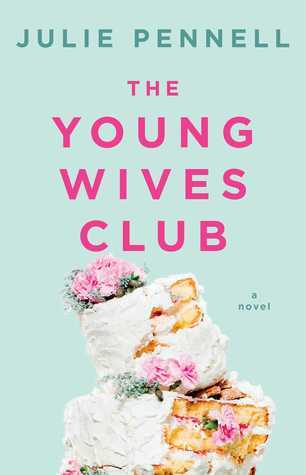 The Young Wives Club is a charming and entertaining novel that I couldn't put down. It was a fun and easy read, and I loved how it followed many characters throughout the story instead of just one main character. The leading ladies not only held my attention, but they kept me from paying attention to anything else! This is definitely a read in one sitting kind of book. so be prepared to ignore everything you're supposed to do for the next 12 hours if you decide to pick it up. Don't say I didn't warn you. The novel follows four young ladies and shows the joys and struggles that each of them face in their relationships. They are a close knit group of friends, and their recent circumstances bring them even closer together. Although I don't have a lot in common with the main characters, I still found myself relating and understanding the events that were happening in each of their lives. I especially loved the ending of the novel. No spoilers, but it was nice to see an ending to the story that wasn't all rainbows and butterflies. The characters had to face real life situations, handle them as adults, and deal with the outcome. It was refreshing to see a story end like it would in the real world! 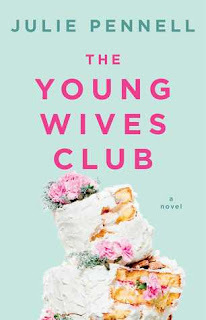 The Young Wives Club is enjoyable from start to finish and I would highly recommend it to lovers of Sophie Kinsella and books similar to The Divine Secrets of the Ya-Ya Sisterhood. I thoroughly enjoyed this book and look forward to hearing what you all think! Look for The Young Wives Club hitting shelves (and the internet) near you on February 14th!